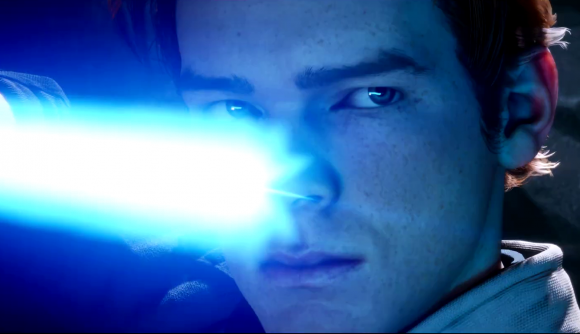 Star Wars Jedi: Fallen Order was revealed properly for the first time over the weekend, and EA proudly confirmed that the game would be a single-player-only story game with no microtransactions or loot boxes. This is a big change in the status quo for EA, who only two years ago cancelled a Star Wars game precisely because it was “a story-based, linear adventure game”. Now the director of that game, Amy Hennig, has reacted to the news about Jedi: Fallen Order – and also offered some more insight into what her cancelled Star Wars game was going to be like, saying that it was supposed to “look and feel like Uncharted”. Hennig, who was the director of Uncharted, also confirms what we’d previously heard – that the game would essentially be Uncharted but with “multiple protagonists”, and the feeling of a heist movie or a “caper crew”. She confirms that it would’ve been “in the same genre” as Uncharted, except players would swap between different characters for multiple viewpoints on the action. Hennig was working on the game with Dead Space developer Visceral Games, before the project was shut down by EA in 2017, and the studio shuttered. At the time, EA blamed the cancellation on “fundamental shifts in the marketplace” and to make a game “players will want to come back to and enjoy for a long time to come”. It was also due to come out at the end of 2019. With Star Wars Jedi: Fallen Order due out in November and also being a single-player story game, it’s puzzling why EA would push ahead with it while cancelling the Visceral project. Eurogamer spoke to Amy Hennig about both games, and she speculates it could be down to either “changes in management” at EA, or the “public and vocal backlash against the idea gamers don’t want single-player finite games”. She is, however, excited by Jedi Fallen Order, and notes that “I’ve heard great things about it”. Unlike Jedi Fallen Order, which has only one main character, Hennig confirms that the Visceral Star Wars game would have had “co-protagonists” – using Luke, Han, Leia, and Obi-Wan during the Death Star escape in A New Hope as an example of how it would’ve worked. “We were going to need playable characters in parallel sequences, because that’s how Star Wars works,” she says.